A process consistently produces an output that meets its predetermined requirements. The overall manufacturing line produces a product that meets the finished product requirements.  Dynamically manages the interdependence of EQ, TMV, OQ, PQ and PPQ elements of validations. Supports variable test method validations (VTMV or Gage R&R studies) and attribute test method validations (ATMV or Attribute Agreement studies). Includes state-of-the-art statistical methods for PV and TMV, as well as statistical performance and sampling plans. Supports attachment of external documents to PV and TMV records. It includes powerful smart tools like user configurable workflow rules and eNotifications for efficient and effective management of process and test method validation activities. It is fully validated, has comprehensive security features, includes elaborate audit trail functionality and is compliant with 21 CFR Part 11 eRecords and eSignatures regulation. It is web-based and can be conveniently accessed globally, including from mobile devices. 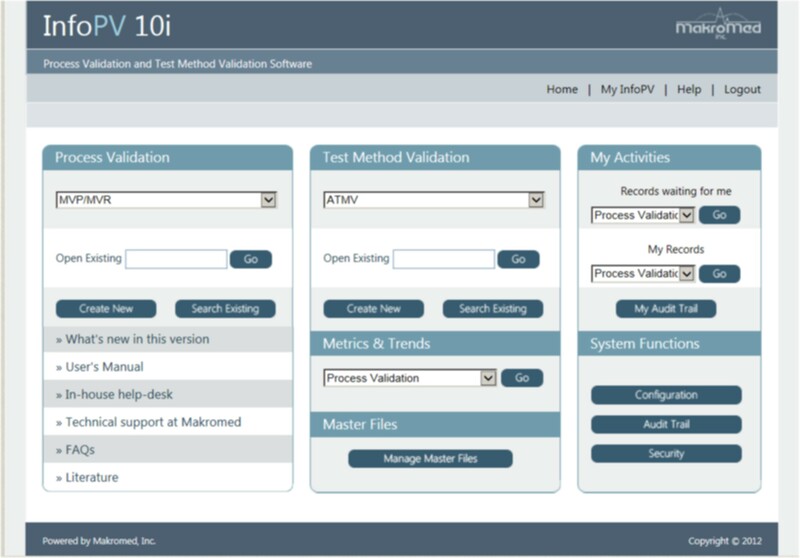 Click here to download a brochure on InfoPV 10i Process Validation and Test Method Validation software.